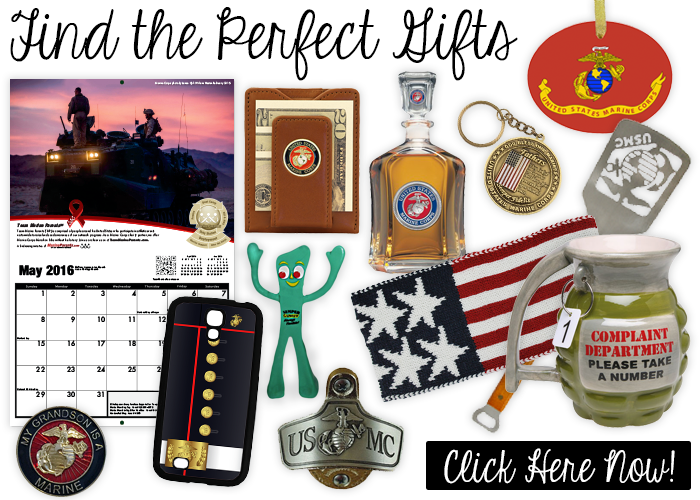 The season of giving is upon us, and you can help show our wounded and recovering warriors that we have their backs this holiday season. Learn more in our first article. 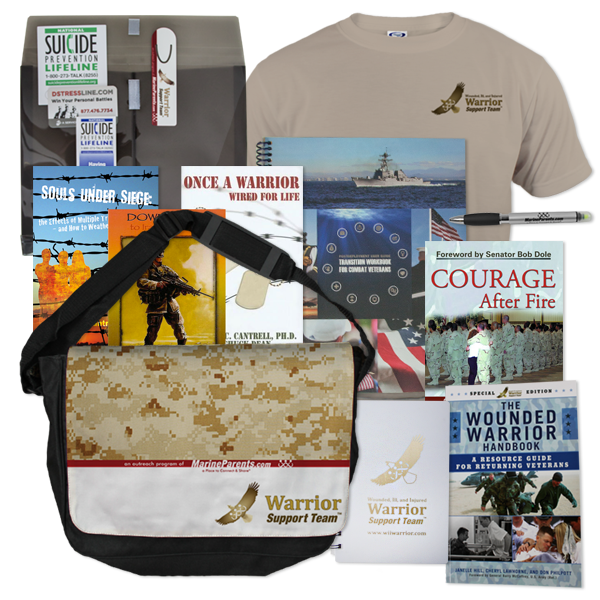 There's no better way to show our wounded and recovering warriors you have their backs this holiday season. Click here to donate today! What Does "Gold Star" Mean? Our program, "Gold Star Legacy," strives to honor the legacy of fallen heroes, support the missions and needs of their families, and raise awareness for Gold Star Family Day. 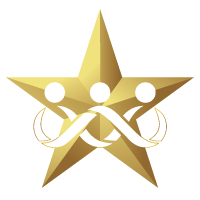 To learn more about our outreach program, Gold Star Legacy, visit www.GoldStarLegacy.com. 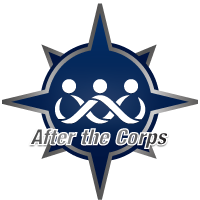 The Joint Service Transcript recommendeds college credit for military personnel based on their occupational experience and training. 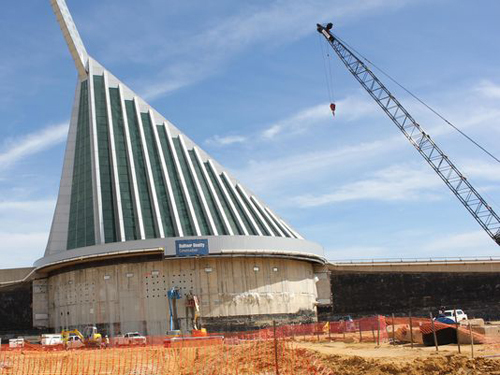 Recommendations are made by the American Council on Education (ACE) in its "Guide to the Evaluation of Learning Experiences in the Armed Services," which is intended to be used by colleges and universities around the country. doing so is becoming familiar with Marine Corps weapons and tactics. 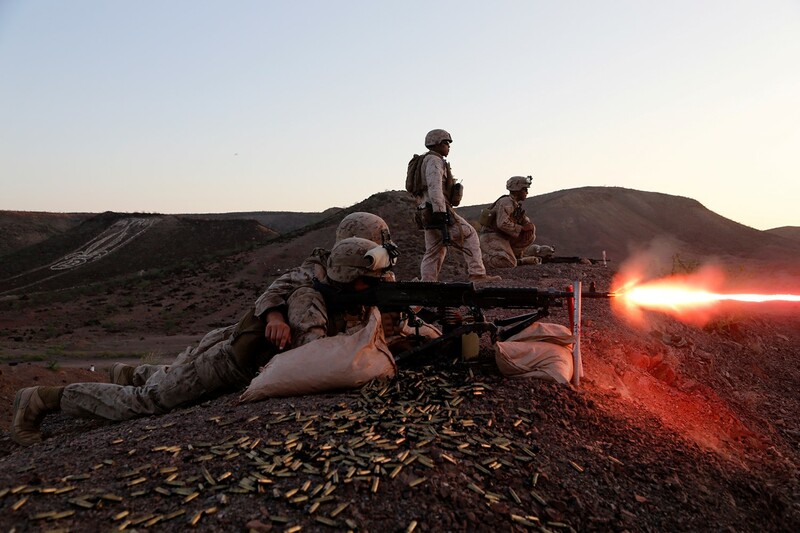 *Image info: U.S. Marine machine gunners provide precision fires during a live-fire and maneuver exercise as part of sustainment training. (USMC photo by Gunnery Sgt. Rome M. Lazarus). Artillerymen are a peculiar breed. Part grunt, part Motor T (transport), part communications, and part deaf, they have a long lineage dating back to the Roman legions in 399 BC. From the Middle Ages through most of the modern era, artillery pieces on land were moved by horse-drawn gun carriages. In the contemporary era, the artillery and crew have relied primarily on wheel or tracked vehicles as transportation, though some of the largest were railway guns. 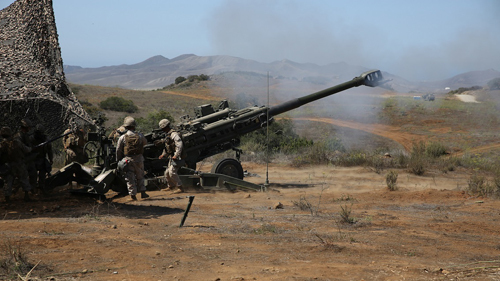 21st century artillery consists of the M777 Howitzer as well as various other naval and land rocket pieces. Despite the years that separate the earliest artillerymen and today's modern warriors, for a number of centuries they've all shared one thing in common -- the veneration of Saint Barbara, the patron saint of artillery. This week's featured volunteer is a proud Marine mother from Bethesda, Maryland -- Mary Ann Schilling. Mary Ann has been working with Marine Parents for more than a decade, after first discovering the organization in 2004. 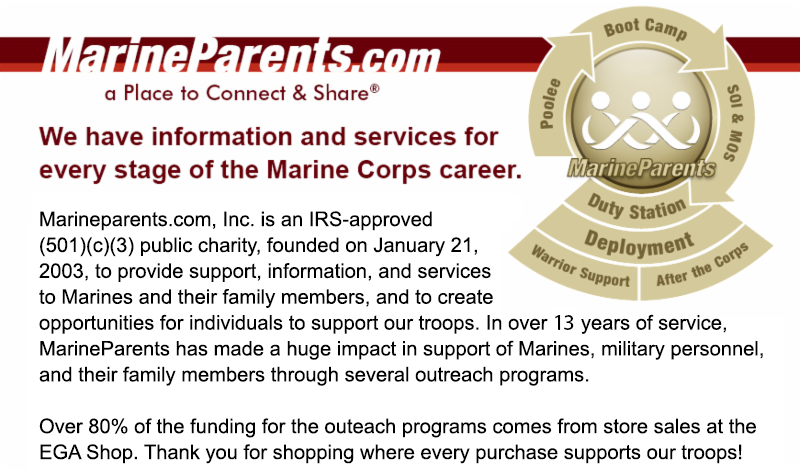 “ I was looking for something meaningful to do with my time when my daughter was first deployed to Iraq as a Marine in 2004,” Mary Ann said, “through a random computer search I came in contact with Marine Parents. I live very near Walter Reed Military Medical Center (at the time it was the Navy Hospital) and it seemed a perfect fit.” At the time, both Mary Ann and her husband, Paul, were working full-time, so serving dinners with what was then Purple Heart Family Support (now the Warrior Support Team) on Sunday evenings fit their respective schedules quite well and both were “grateful” to have the opportunity to volunteer their time together. 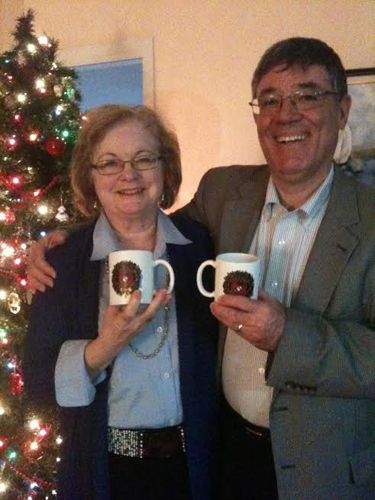 *Image info: Mary Ann and her husband, Paul, with their Marine Parents Christmas mugs. Sixty-five years ago this week, on January 4, 1950, after four days of fighting their way through the Taebek Mountains, Lieutenant Colonel Raymond G. Davis and the 1st Battalion, 7th Marines arrived in Hagaru-Ri, in present-day North Korea. 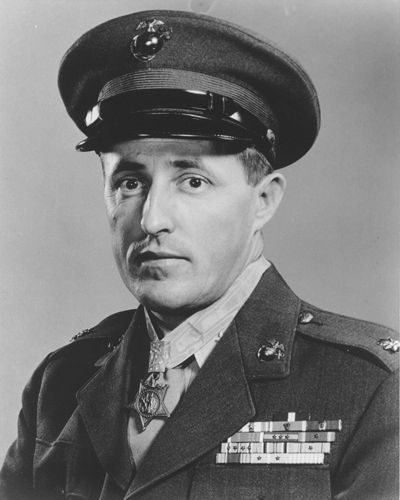 Their victory over the numerically-superior North Korean and Chinese forces helped clear the way for the 5th and 7th Marines, and Davis was awarded the Medal of Honor for heroism. 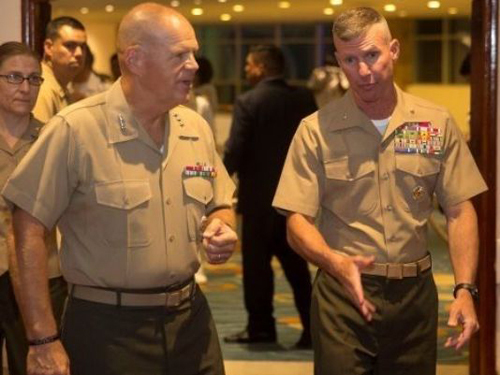 This Monday, November 30, i n a ceremony at Camp Lejeune, North Carolina,Lieutenant Colonel Lauren Edwards assumed command of the 8th Engineer Support Battalion from Lt. Col. David Morris. 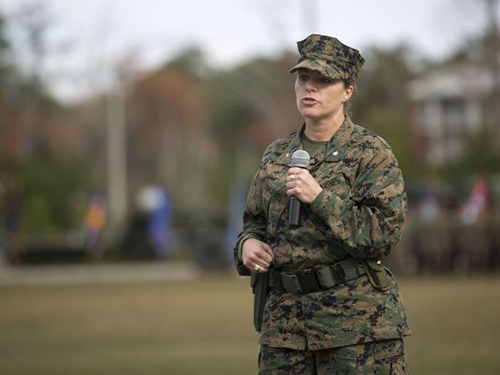 In doing so, Edwards became the first female Marine in the history of the Corps to assume command of an engineer support battalion. In Officer Candidates School, Edwards was her platoon's honor graduate, and she was also the honor graduate from Combat Engineer Officer’s Course, where she also received the leadership award. During her time in the Corps, Edwards has deployed to Iraq in support of Operation Iraqi Freedom. She has received numerous awards during her Marine Corps career, including the Meritorious Service Medal, the Navy and Marine Corps Commendation Medal with combat "V" device and two stars in lieu of third award, and the Combat Action Ribbon, among others. Smith is a former foreign-area officer who served in Venezuela from 2001 to 2003. Between 2003 and 2006, he deployed twice to Iraq while serving in the 1st Marine Division. As senior military adviser to the Secretary of Defense, Smith will be tasked with providing the Defense Department’s civilian leader with key military advice on all matters of policy and strategy. 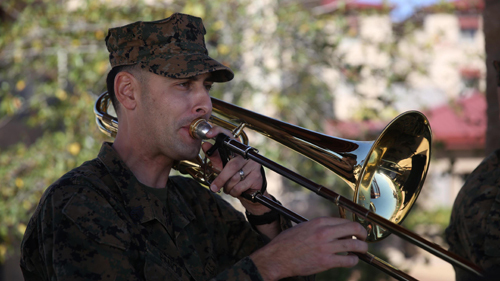 This Week in Marine Corps News: Marine Corps Announces "Musician of the Year"